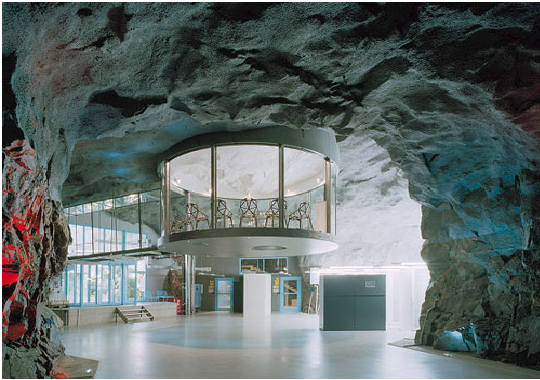 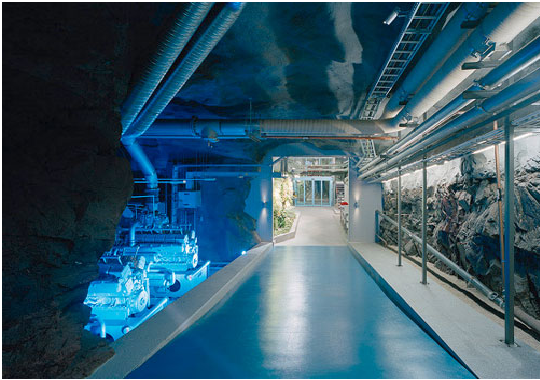 Swedish ISP now uses this old atomic shelter for their office.100 feet beneath the surface, with rock walls and cavernous ceilingsit certainly makes a unique and awe inspiringworkplace. 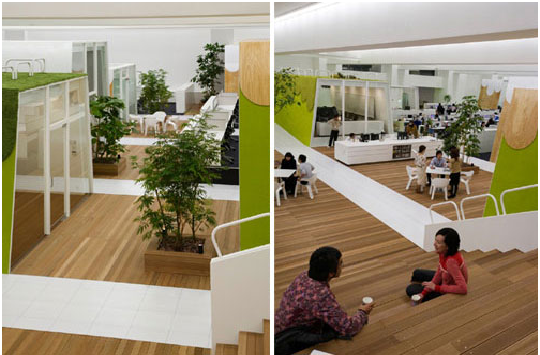 Klein Dytham Architecture designed this office for a Japanese advertising company. 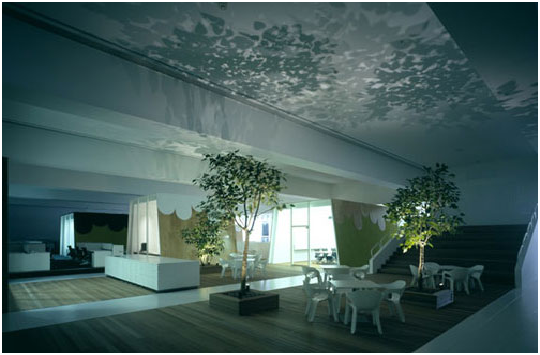 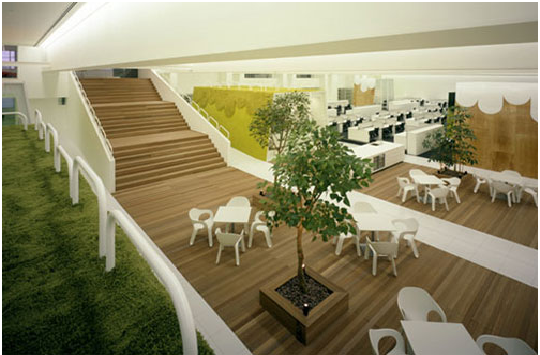 Nature is the prominent theme in this peaceful office where the outdoors has come in. 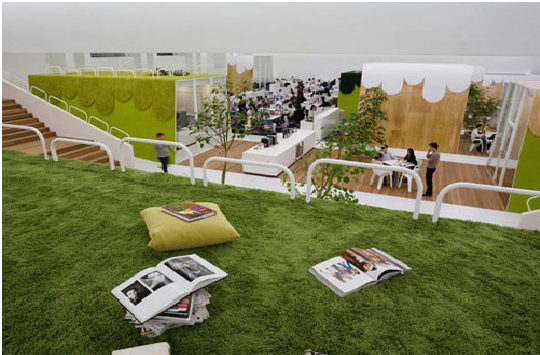 This is an office where work and play mix. 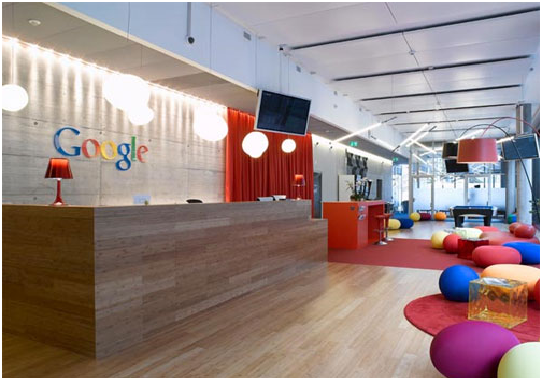 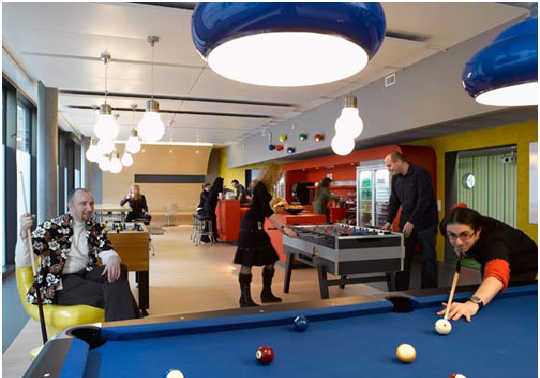 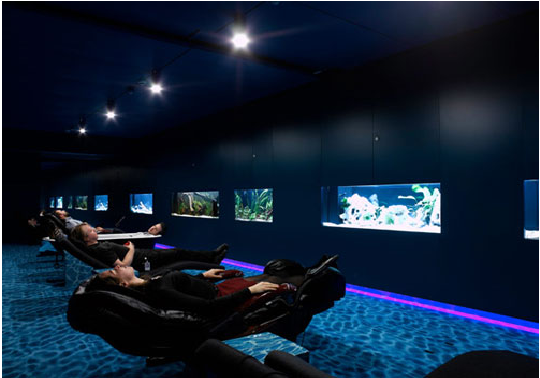 Google Zurich have many decorated rooms for employees to work in and relaxation is provided in the form of a games room and a gym. 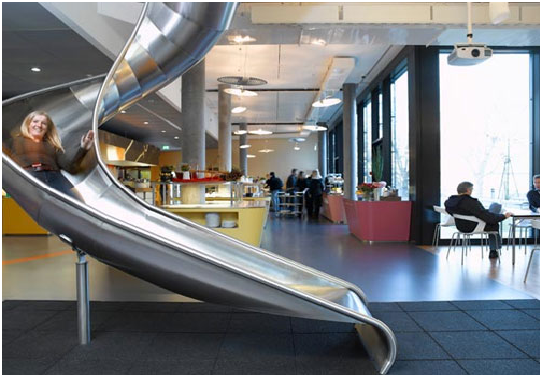 Offices slides are also becoming more popular in bringing the outdoors inside.